Chances are you have already started planning your upcoming vacation. When you look at hotels in Door County, Wisconsin you see that there are lots of motels, resorts and campgrounds to choose from. Your choices range from rustic to restful, and pretty much everything in between. If you’ve done your search you will have seen that Ephraim Shores has a consistently high rating from the people who have stayed here. On the list of things we are known for is our beautiful views of the bay from our private beach, the cleanliness of our rooms, the proximity to many restaurants and shops (we’re one of the closest places to stay near Wilson’s Ice Cream Parlor), and the friendliness of our staff. Watch the sun set from your window and feel your cares drop below the horizon. If you want to get away to other parts of the peninsula, Ephraim is the perfect place to start your day. Its central location places you just a few minutes from Egg Harbor and Fish Creek to the south, and Sister Bay and Ellison Bay to the north. Restaurants and shops are waiting for you in each of them, all independently owned. A side road or two to the east and you are in some of the finest bicycling country in the United States. Cross one street and you’ll find yourself at the South Shore Pier, where you can rent a boat or pontoon to head out onto the water for an hour or two of absolute bliss. 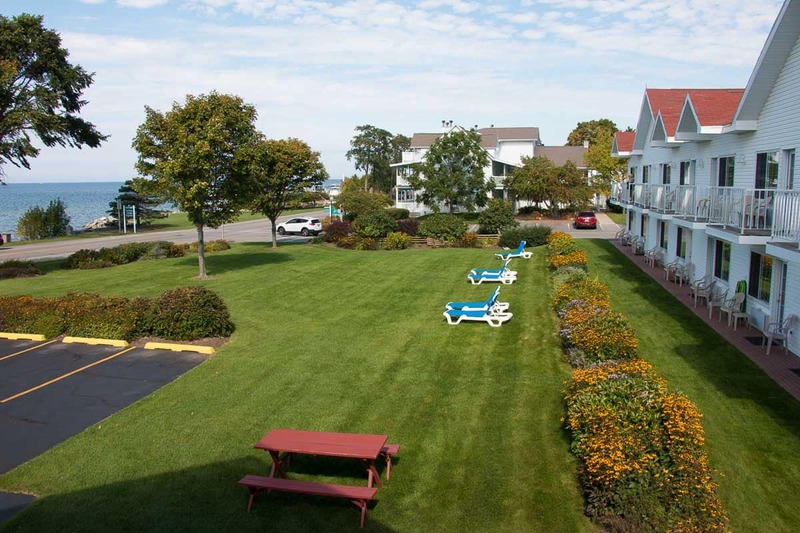 So don’t miss out on an opportunity to renew yourself at one of the finest hotels in Door County. Make your reservations online today and stay where the air is pure, the accommodations are friendly, the views are delightful and the staff is welcoming.